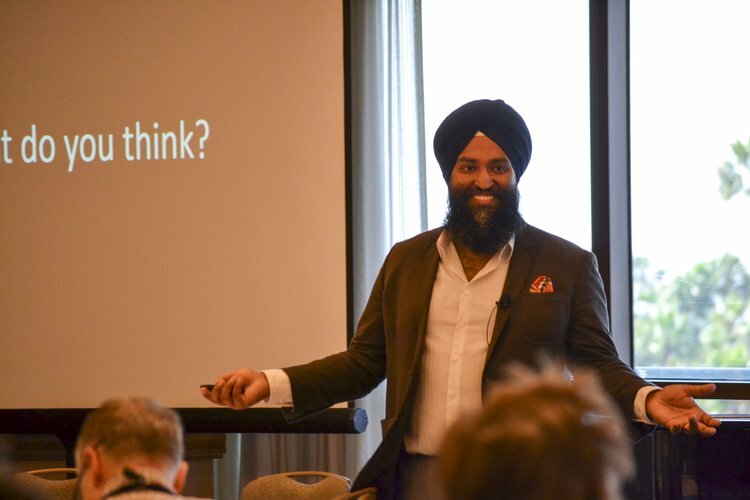 Rahuldeep Gill, Ph.D., is a sought-after speaker, author, and igniter, whose life goal is to develop effective and heartful leaders with broad perspectives to drive innovation. 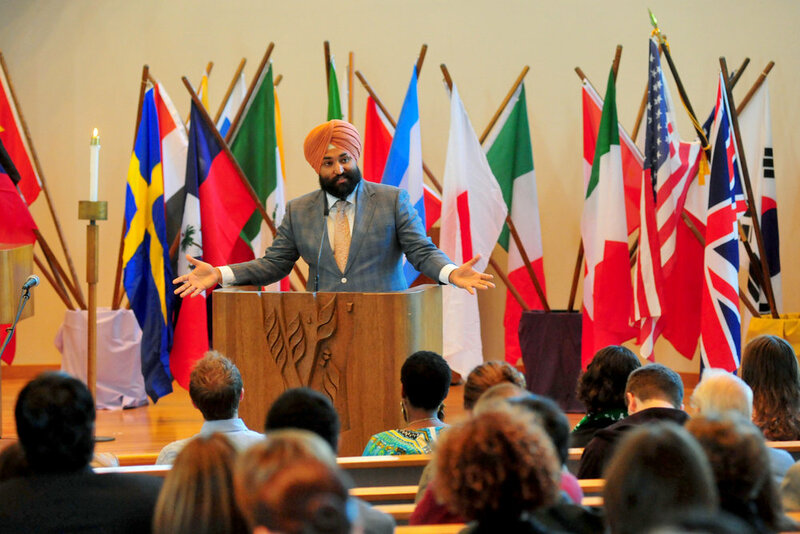 His presentations examine growing up Sikh in America and Sikhs and the global community as well as intercultural leadership and leadership development. 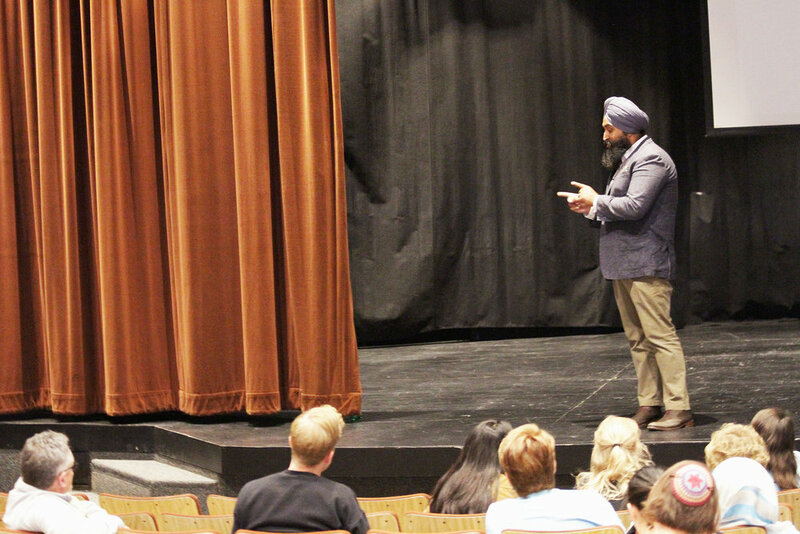 Through his lectures and workshops, he works to build pluralism and cross-cultural relations, inspiring connected communities on campus, in the workplace, and in the marketplace. The Los Angeles Times, Patheos.com, Huffington Post, and San Francisco Chronicle have published his writings, and he blogs for LinkedIn.com. He recently published his first book, Drinking from Love’s Cup (Oxford University Press), and is currently writing two more books about leadership and pluralism. A native of the Boston area, Dr. Gill earned his bachelors, with Honors, from the University of Rochester in New York and doctorate from the University of California, Santa Barbara. 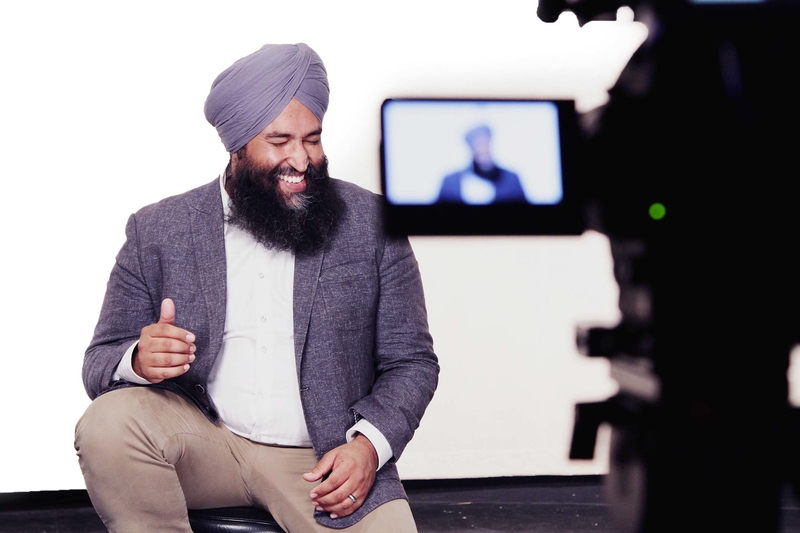 Dr. Gill helped raise over one million dollars as the past Director for the Center for Equality and Justice (CEJ) at California Lutheran University. 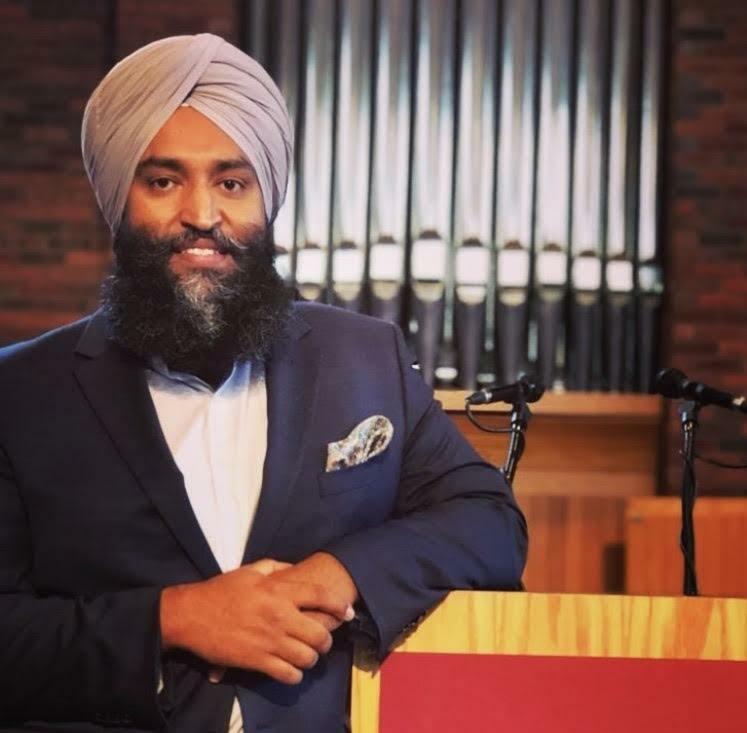 He is still a tenured faculty member and Campus Interfaith Strategist at Cal Lutheran, and is the visiting professor of Sikh Studies at the Graduate Theological Union in Berkeley, California. He has twice been voted Cal Lutheran's Diversity Professor of the Year and lives in Los Angeles with his family. Thank you, thank you, thank you so much for coming to Miami University. We thoroughly enjoyed you and appreciate the wisdom, knowledge, and experiences you shared with us. Not only did students gain insight and perspective on the topic of inteculturalism and interfaith, but our Faculty and Staff were rejuvenated and motivated by your talk at the lunch and learn. While, we still have work to do on our campuses and in this country, these are the talks that we cherish and NEED in order to do good work, be good colleagues, allies, and support systems for the students we serve. Thank you for making us think critically and push beyond our points of comforts! This was such a powerful event for me. 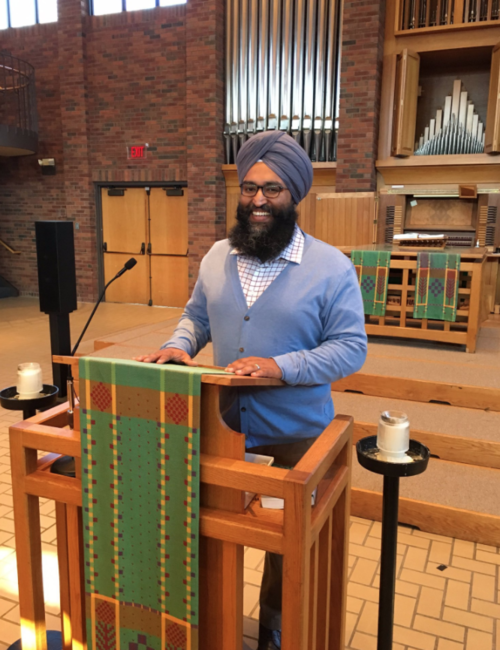 In all my years of schooling, this was the first time I met a Sikh-American professor in the liberal arts as a first-generation college student who happens to also be a Sikh woman. I know as a graduate student, orientation can be a very different experience from undergrad orientation but yesterday and today's event is what I needed to further let me know I'm on the right campus. "Please accept my heartfelt words of gratitude for Dr Gill's exceptional Christensen Symposium lecture. He was so very engaging, insightful and accessible for our students. He truly is a gifted scholar and lecturer. I trust he sensed how the Augsburg community responded to him so positively." "It was wonderful having you (Dr Gill) on our campus and thank you for all the energy you brought to us. It was grand. You reached the student audience with power and authenticity." "The campus is still abuzz after yesterday's session with you! I've heard from many folks that it was, in their opinion, the best session they had heard in a very long time. So, on behalf of many of my campus colleagues, thank you again for being with us!" How can the Black Student Union better partner with the LGBT Allies group? Intersectionality is a theory that explains how oppressions can be compounded on people who belong to multiple oppressed identity groups. But intersectionality also provides the tools for us to build solidarity across lines of difference. This interactive lecture or workshop equips participants with the tools to make solidarity a daily reality in their contexts. Aimed at students transitioning into their new college environment, this interactive workshop helps students to identify their most important identities, and use this knowledge to be better allies and leaders. Attendees will also learn how to navigate intercultural challenges, and how to hone their intercultural skills for successful academic and professional careers. We are exhausted. The storms seem relentless. The work never ends. How do we continue to bring our best selves to the work we do for more just and equitable communities? In this workshop, participants will learn techniques to deepen their resilience, while growing as agents for change. Rev. Dr. Martin Luther King, Jr. wrote, "This is no time to engage in the luxury of cooling off or to take the tranquilizing drug of gradualism.” Five decades later, how do we balance the urgent needs of intercultural work while moving at an effective pace? This talk will inspire and equip your team to implement powerful strategies that can be adapted to your context. · Are you tired of the slow motion? How do you accelerate? Tolerance is not enough. Campuses need an organic philosophy on how to move from basic accommodations of diversity to true pluralism, where diversity of worldviews is valued and pursued. Having concrete strategies in place to help constituents work across differences ensures that diversity is not just a buzz-creating phrase, or something aspirational. This keynote address aims to empower constituents to turn diversity of perspectives into a catalyst for innovation and collaboration. Higher Ed professionals have been moving away from "safe space" in order to facilitate greater vulnerability and create social change. But brave spaces are not enough, either. This talk helps administrators, staff, faculty, and students rethink their space and social justice mission in order underscore a spirit of resilience. Advocates for social change need passion, but also the strategies to thrive for the long haul. This workshop will help participants reimagine the role of mentors in their work, and identify the resources available to them in their work. Administrators will learn how to take care of their change agents and support their work; change agents will learn how to demand more from administrators.